It's another cold Friday, and it's Friends With FLAIR! I just love Fridays! Hurray for all the inspiration I find on Unity's Friends with Flair! 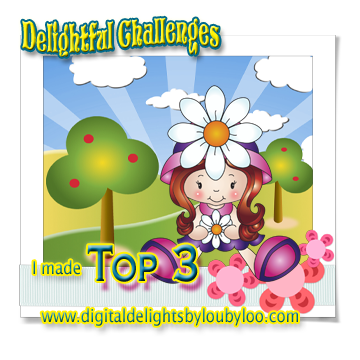 I so enjoy visiting all the blogs of the link-up party to see the fantastic creations for the week. Love IT! My brother found it humorous, so I'm glad of that! 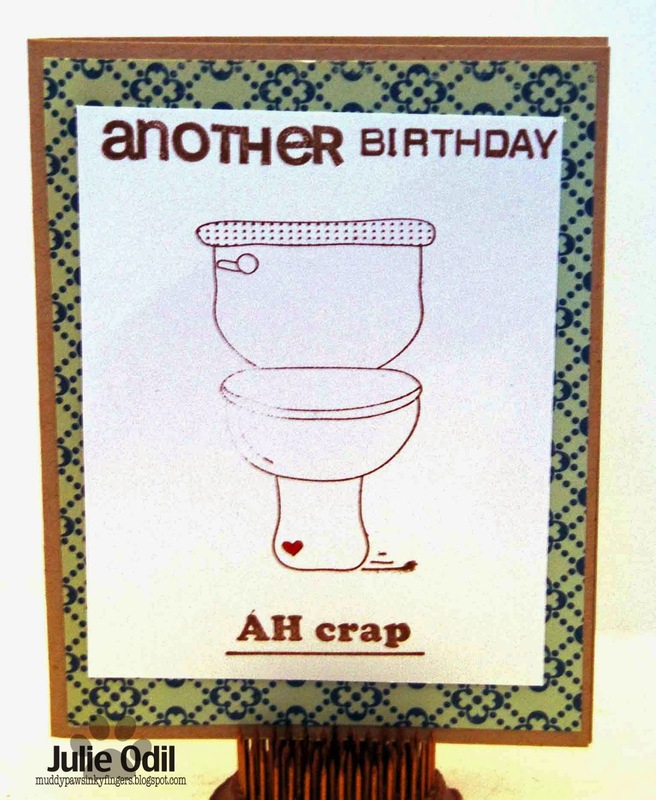 It's tough to make male birthday cards, so I'm going to remember this for the future! This is the Unity "Ah Crap" Stamp set. DP is October Afternoon. 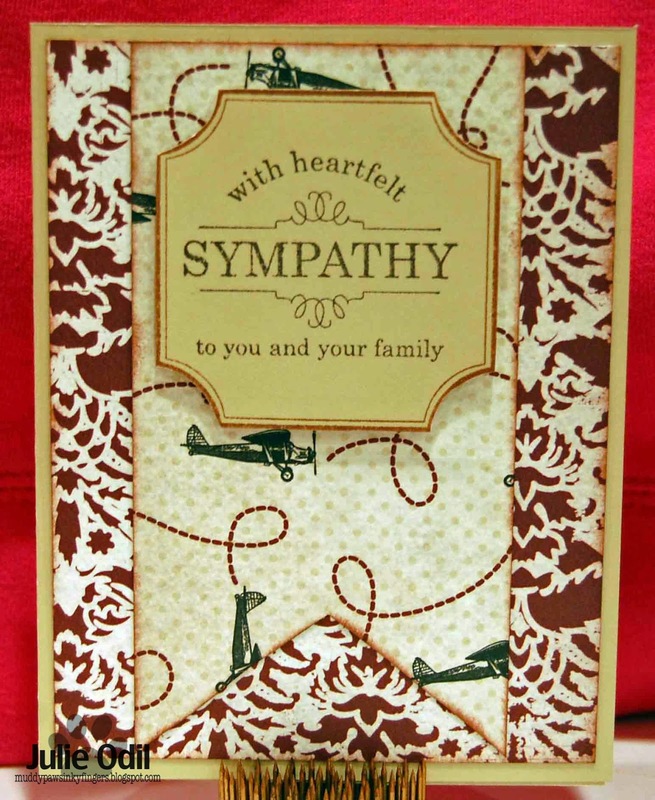 I thought these designer papers by Carta Bella would be great for this particular family. This uses the Unity Everything Wonderful stamp set. It looks like Unity has a Super sale for Superbowl weekend. I'm not a football fan, so I won't be watching the game. I might, however, be tempted by a Unity super sale! Enjoy your weekend. I hope it's super -- whatever you do! Hello, and happy hump day, crafty friends. We're having record breaking cold again this week here in NW Wisconsin. This is turning into a winter to remember. I'm happy January is winding down! This is good weather for staying indoors and indulging. And, speaking of indulging, this week's theme at The Cutting Cafe is all about Hershey's Kisses. 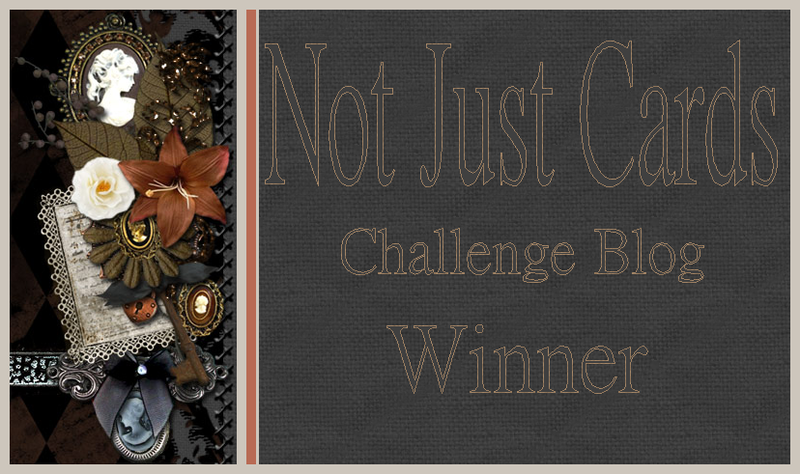 Visit The Cutting Cafe blog tomorrow and you'll see an incredible variety of talent, all with a central theme running through them -- chocolate. YUMMY! 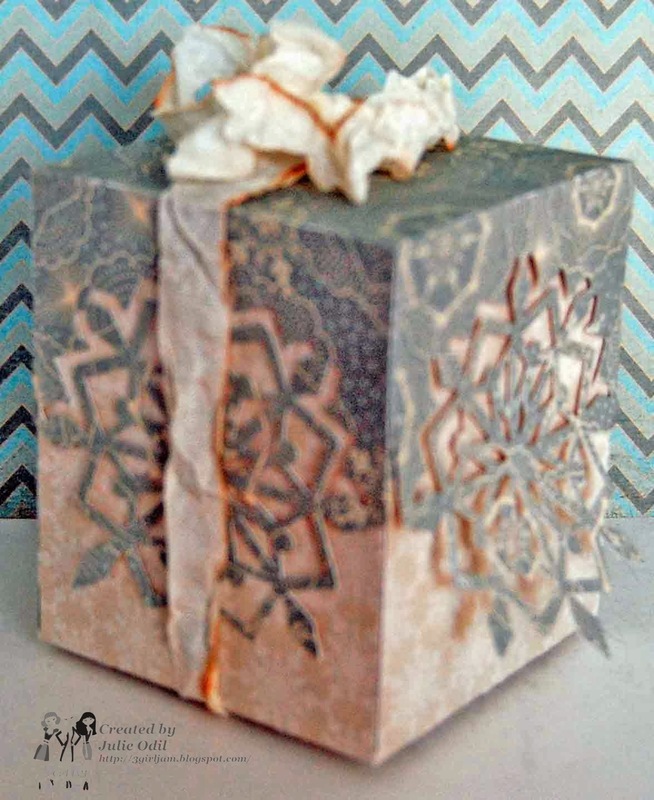 I enlarged the box so I could use this stamp from Stamping Bella. I thought her box of chocolates was perfect for the theme, as was the sentiment stamp from Close To My Heart. I'm going to put some fudge in this box from a local fudge shop and give it to a special someone on Valentine's Day. I think it will fit in there just right. Don't forget to stop by The Cutting Cafe blog Thursday or after. Leave a comment for a chance to win this file, or any three sets of your choice. Woohoo! Happy Monday, my blog friends. 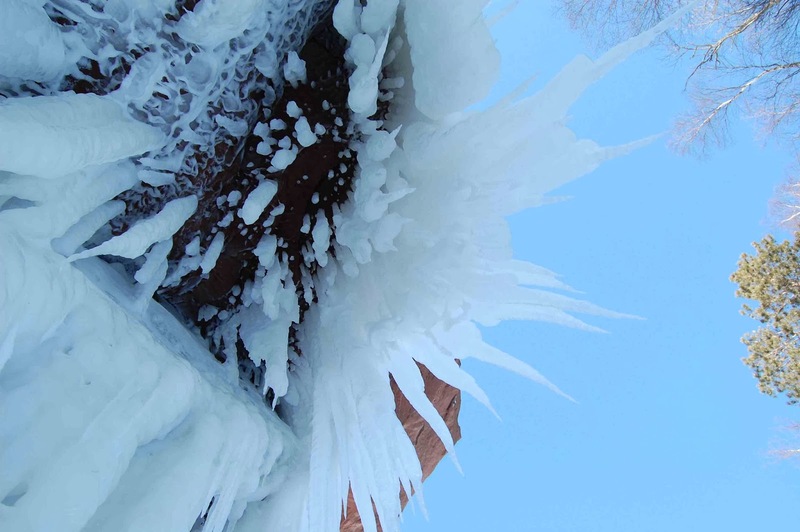 The cold just keeps on coming here in NW Wisconsin. It's -20 here this morning, warming all the way up to -15. And the wind makes it feel like -40. It's a perfect day to stay indoors and drink hot tea, coffee, or whatever the hot beverage of your choice is. The theme this month on the Timeless Twine blog is "new". This is a new card style for me, having never tried one of these pocket cards before. I used a pattern from My Scrap Chick, cutting out all the different parts on my Silhouette. Here's the pocket, pulled out. 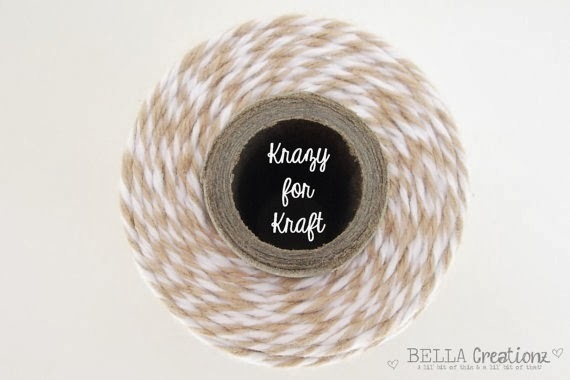 I used Krazy for Kraft Timeless Twine on the handle (don't want to get burned, LOL) and added a cute bow with it, too. Stamp, papers, and bling are from Close To My Heart. It's good advice for a day of record-breaking cold, don't you think? 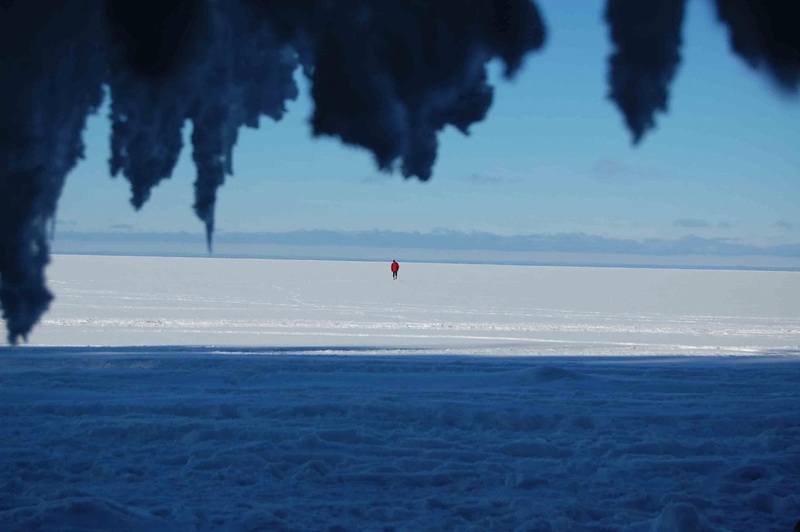 We weren't the only ones that trekked 2 miles across the ice to reach the caves. Lots of people were there that day. Shaun's on one side of a cave, I'm on the other. Shaun walked way out on the ice. He loves doing that every year we visit. Can you see my husband in this last picture? I think I'm going to write a message to my BFF on this pocket card about how cold it is here! She'll understand! It's Friday, and time for a product spotlight at Pinque Peacock. 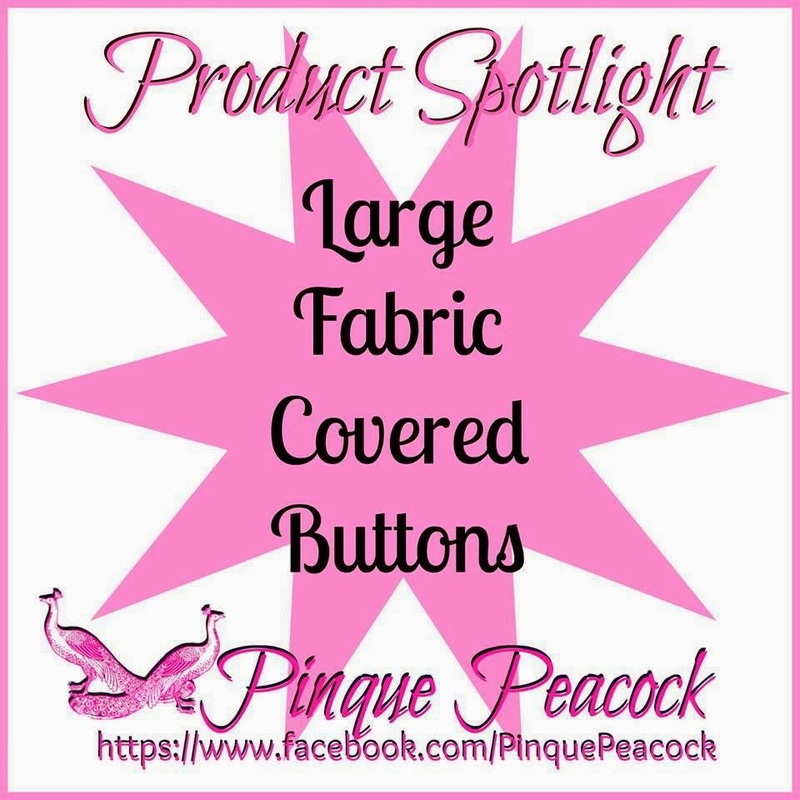 I'm spotlighting the large fabric buttons. They're big, they're bold, and they're beautiful. I was given two of them to work with to showcase today. Both of them are so pretty all by themselves. This cute little heart-shaped box was cut out on my Silhouette. I found the shape in the Silhouette Online Store. It's by Snapdragon Snippets. 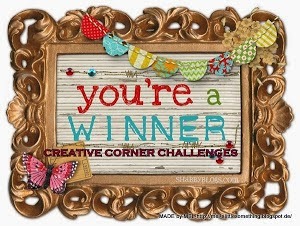 I made a floral ribbon to support the button from 3 Girl JAM Tuxedo Black crinkle ribbon from the Celebrations Bundle. Isn't that owl just the cutest? 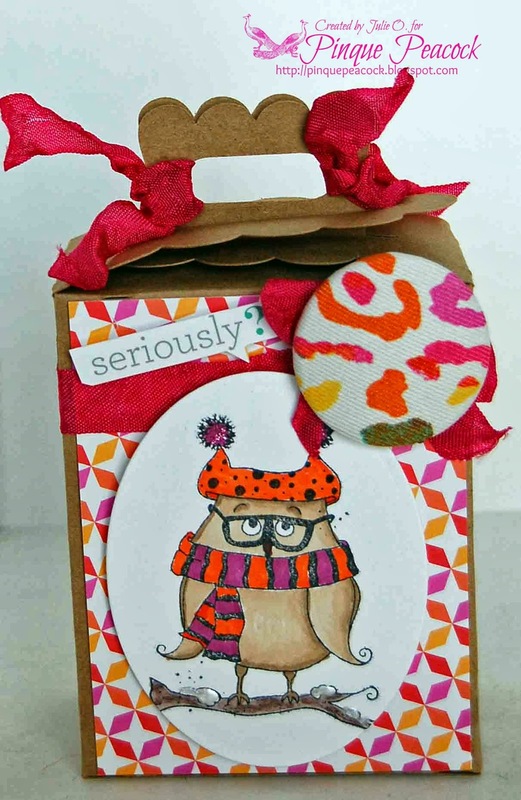 This is Bernie, a Unity Stamp Company Itty Bitty. I colored him with Copic markers, then used some Stickles glitter glue on his hat and a Viva Decor Pearl pen on the snow on the branches. The paper is a retired paper from Close To My Heart, but I thought it was the perfect match for this Summer Safari button. The ribbon is once again 3 Girl JAM. I used Cherry Lipstick from the Pink & White Bundle. I love these buttons! There's a great variety of them in the Pinque Peacock shop. Check them out and see where your creativity takes YOU! I also want to share a few pictures from last Saturday. 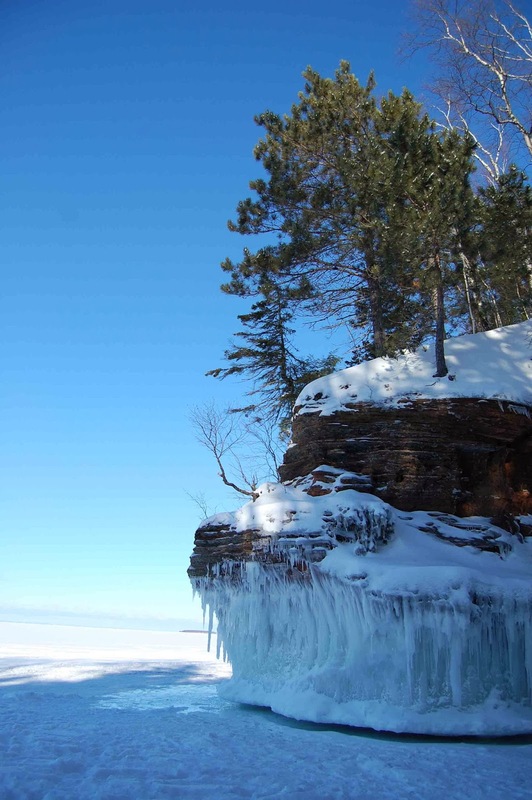 My husband and I were on the Northern-most tip of Wisconsin, at the Apostle Islands National Lakeshore. 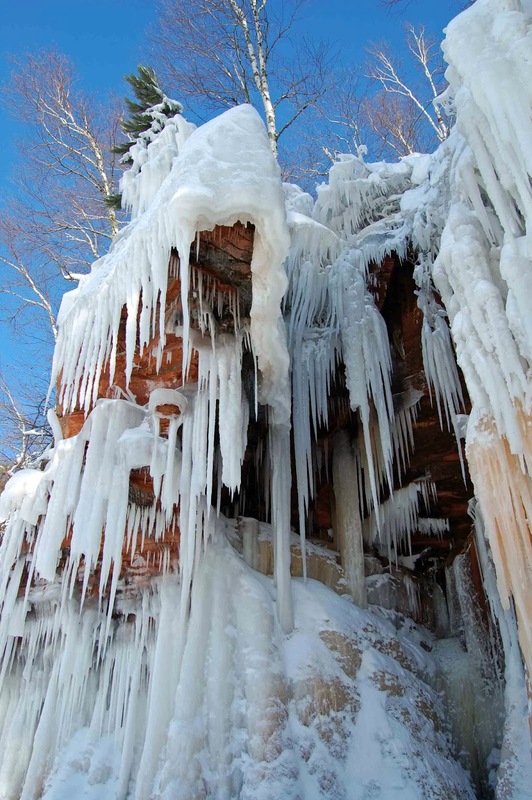 These are ice caves, formed by the waves of Lake Superior and sandstone cliffs. 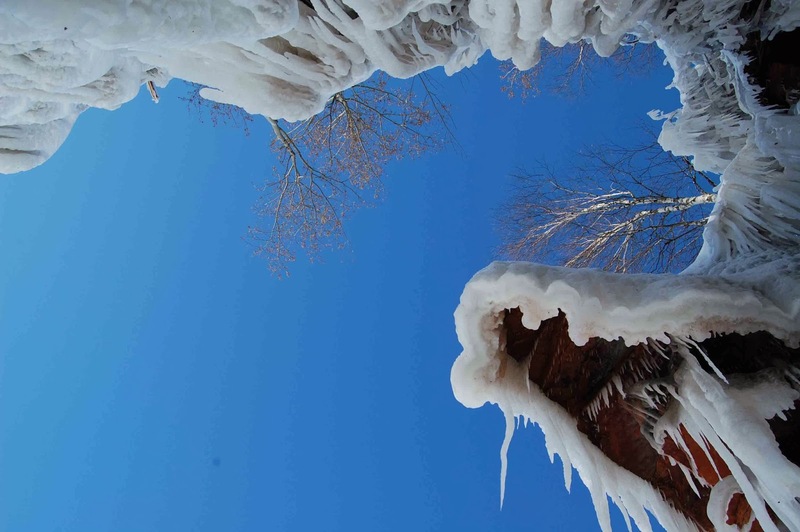 We had a perfect day for our adventure -- blue sky, no wind, and 17 degrees. 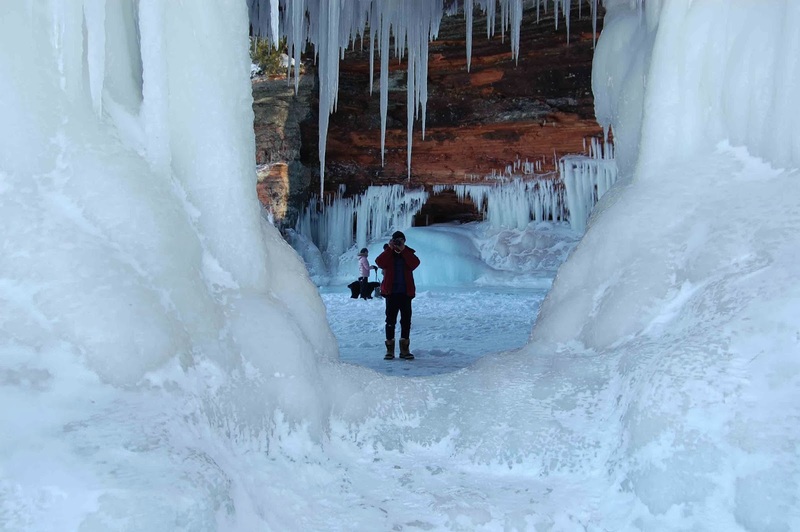 It doesn't get better than that in January in Wisconsin! 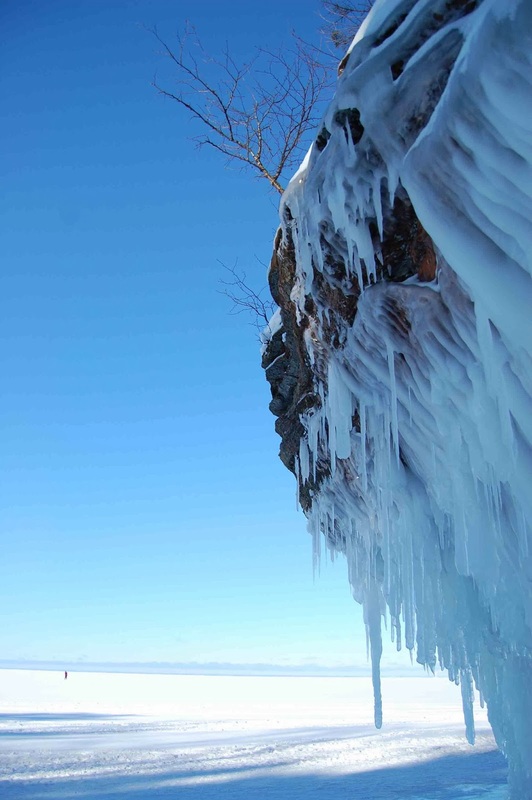 We weren't the only ones that hiked 2 miles across frozen Lake Superior to reach the caves. There were probably over 1000 people there that day. I think a troll or hobbit lives in this cave! 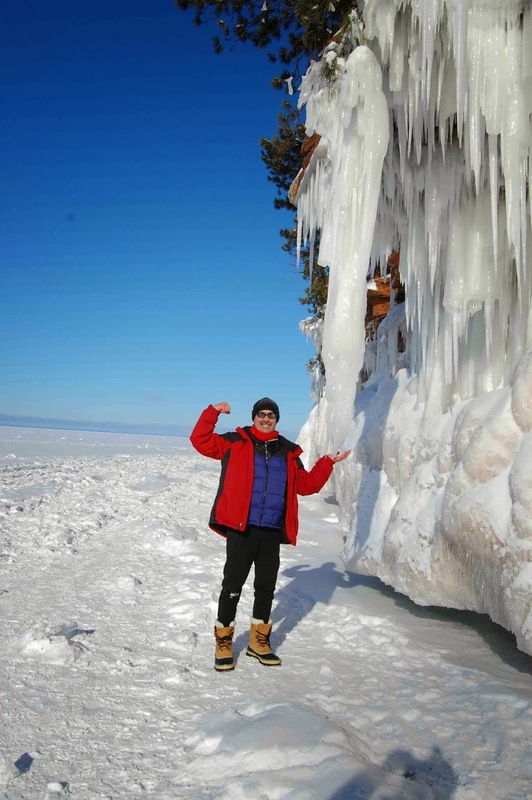 My very strong husband had to hold up that icicle or the whole side of the cliff would have fallen down. Good thing he was there! I shared a few different pictures in yesterday's post, and I'm saving a few more for Monday's post. I hope you enjoyed them. It's a very beautiful, unique experience. 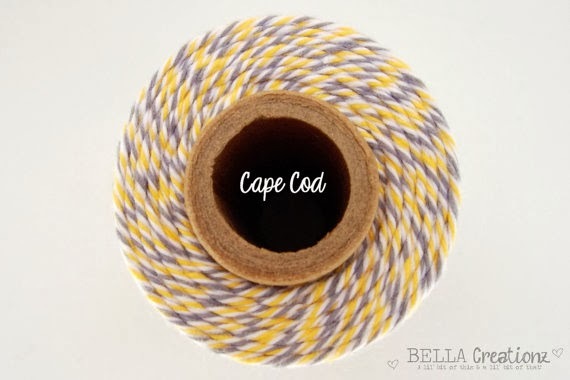 Hello, crafty friends, and happy Thursday. 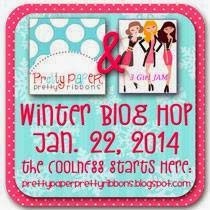 I'm posting today on the 3 Girl JAM blog. 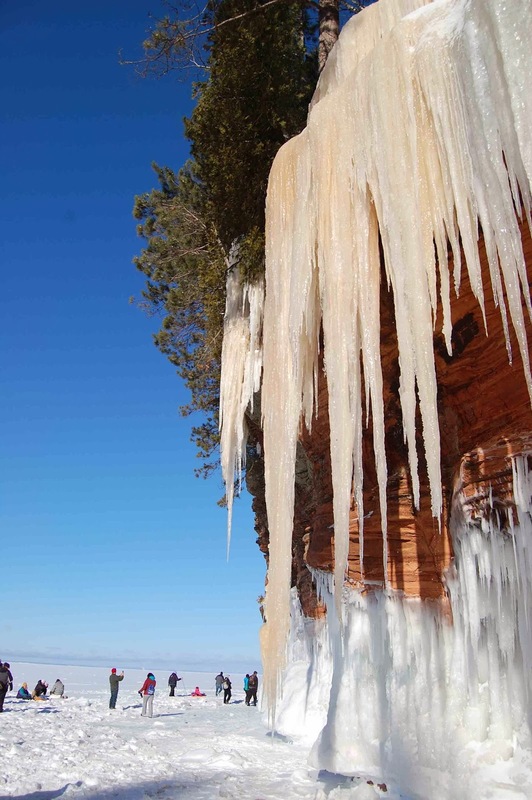 It's been a long, cold, winter here in NW WI. 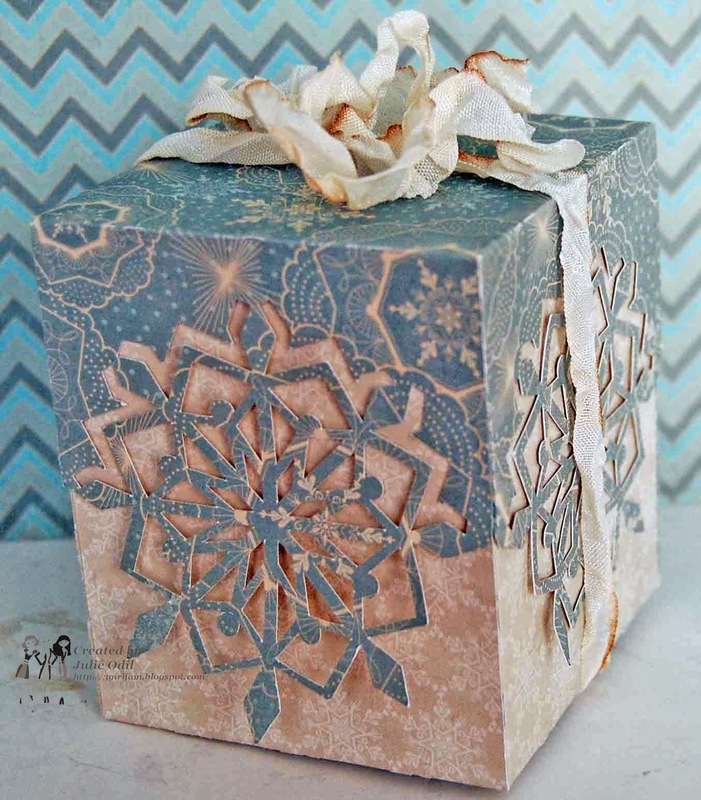 I must have been thinking cold when I made this box, but it just proves, winter can be pretty! I tried a cutting file from Lettering Delights﻿ for the first time. As you can see, it cut very nicely on my Silhouette. I tied it up with one of my all-time favorite 3 Girl JAM ribbons, Summer Sprinkles, from the Seasons Bundle. I love, love, love that ribbon. It's beautiful in a subtle, elegant, way. 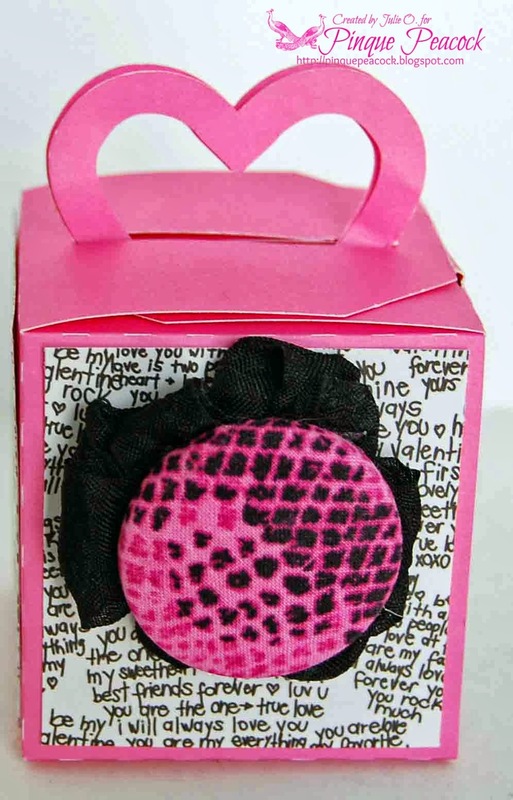 Here's another view of the box and 3 Girl JAM ribbon. 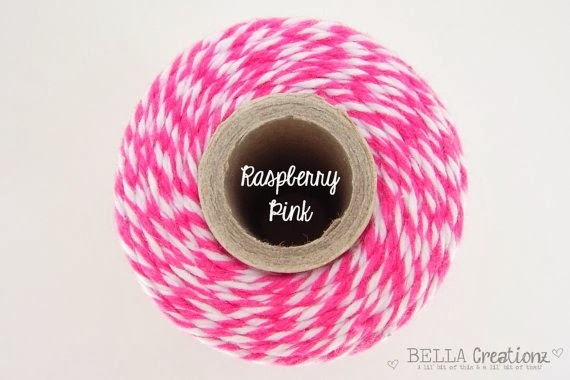 If you'd like to order some of this ribbon for yourself, or any of the other great 3 Girl JAM products, use discount code JO10 for a huge 10% off your entire order! 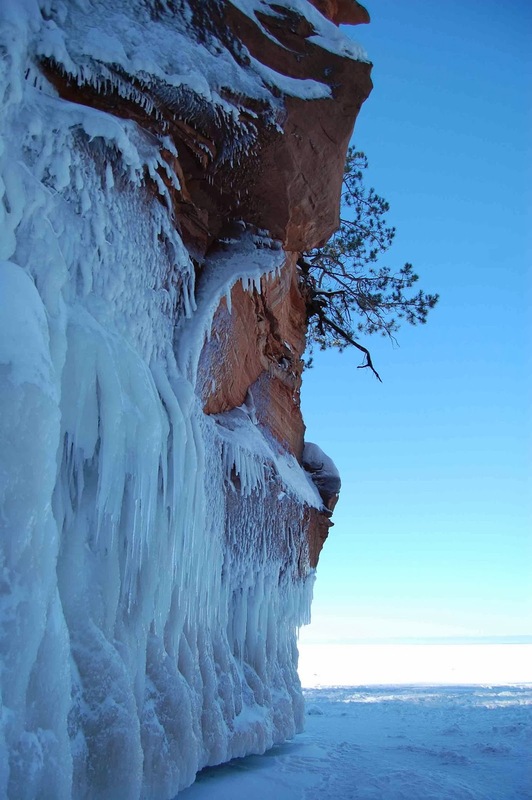 And, to prove winter can be pretty, I have some pictures to show you of winter in WI. 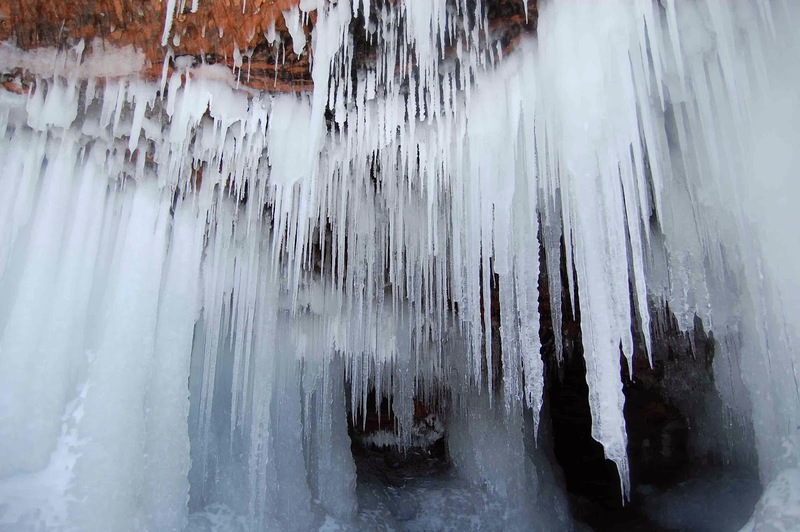 These were taken over the weekend at the Apostle Islands. 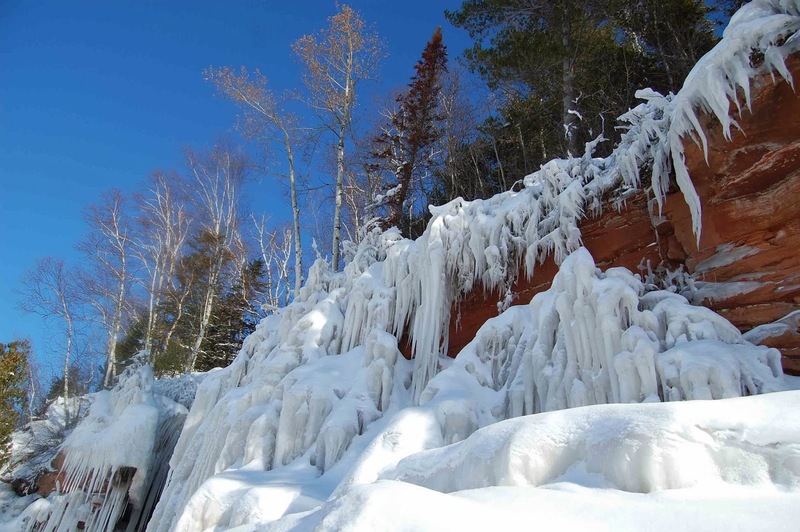 They are some ice caves on Lake Superior. I have more pictures (over 200!) but I'm going to save a few more for tomorrow. Come back if you'd like to see them. I used the PPPR large gift box with window, lengthened it a bit, and added a little trim to the window. My hot cocoa packets fit inside perfectly. The polar bear image from Pretty Paper Pretty Ribbons Winter Critters cutting files looks just fine on the box. And, why would he wear a scarf when he can be decked out in luscious 3 Girl JAM crinkle ribbon? 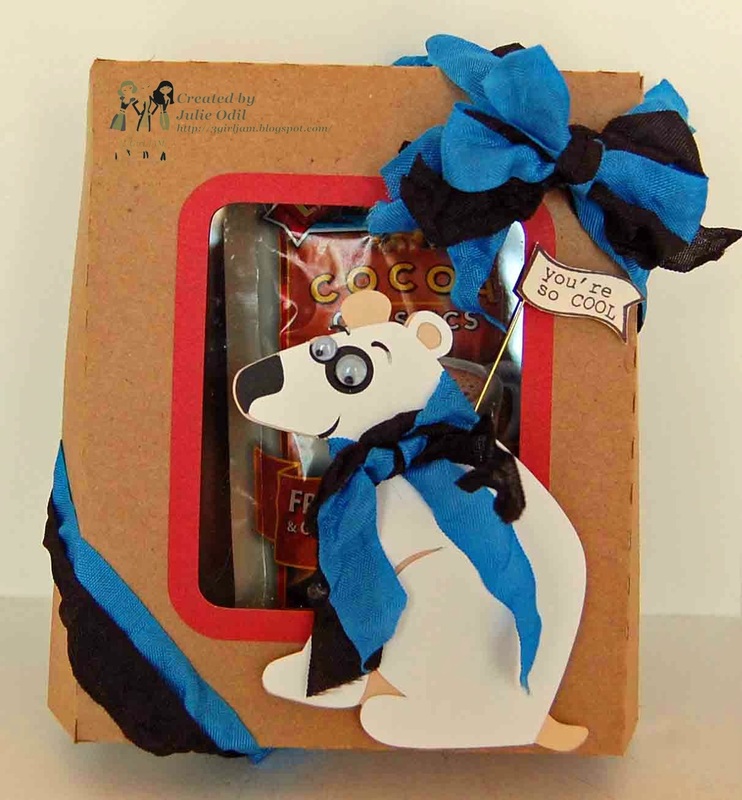 The ribbon used on the polar bear and box is from the Hot & Cold Bundle from 3 Girl JAM. 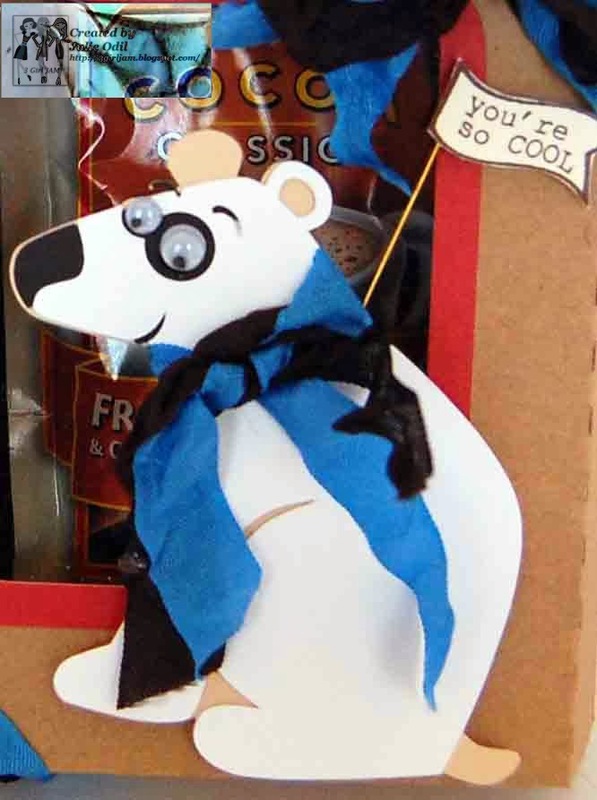 The "You're so cool" pennant is a stamp from Unity Stamp Company. 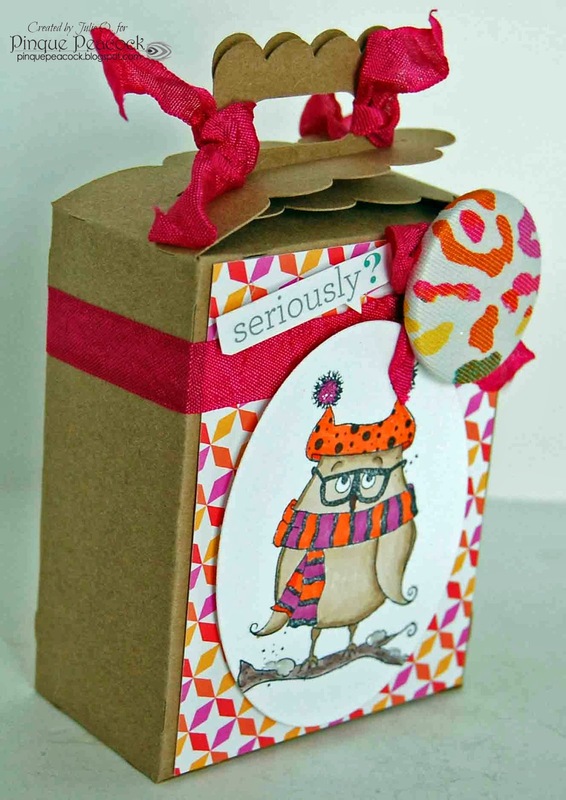 As I said, I was having so much fun with the cutting files and ribbon, I made a card for the hop, too. Again, I decked this moose out with some 3 Girl JAM jute string instead of a scarf. Dashing, don't you think? The sentiment is from a retired Close To My Heart stamp set. The jute ribbon behind it is from 3 Girl JAM. And, do you see that lace? It will soon be for sale in the 3 Girl JAM store. It is soooooo fun to play, I mean work with! Did you know there are prizes to be won? 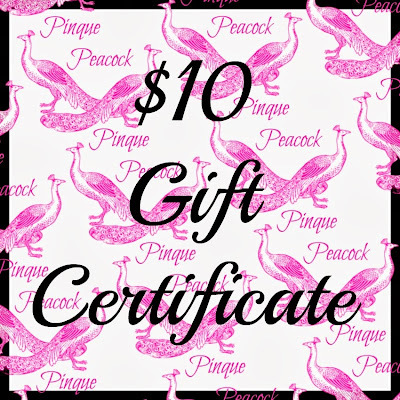 There's a $20 gift certificate from the PPPR store, and a $20 gift certificate from the 3 Girl JAM store. 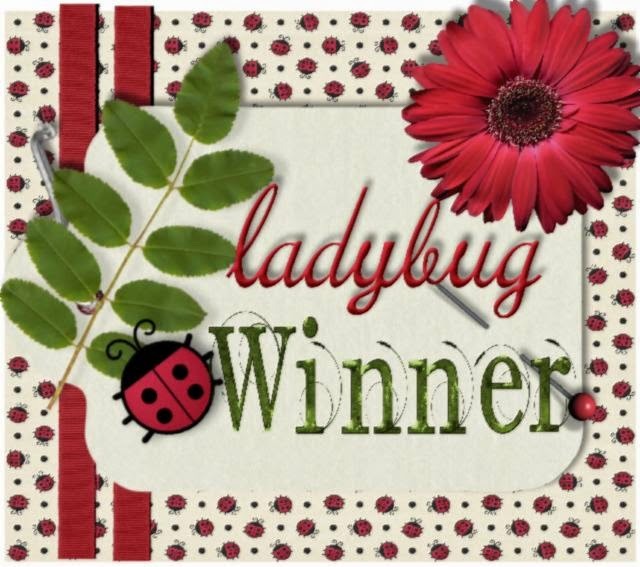 For a chance to win, you need a be a follower of each blog and please comment on each blog. 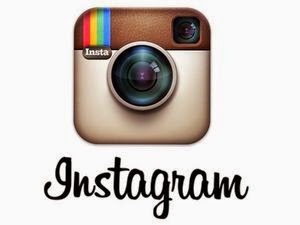 For extra chances, please "like" the PPPR Facebook page and the 3 Girl JAM Facebook page. Now, hop on off to the beautiful and talented Nicole's blog. 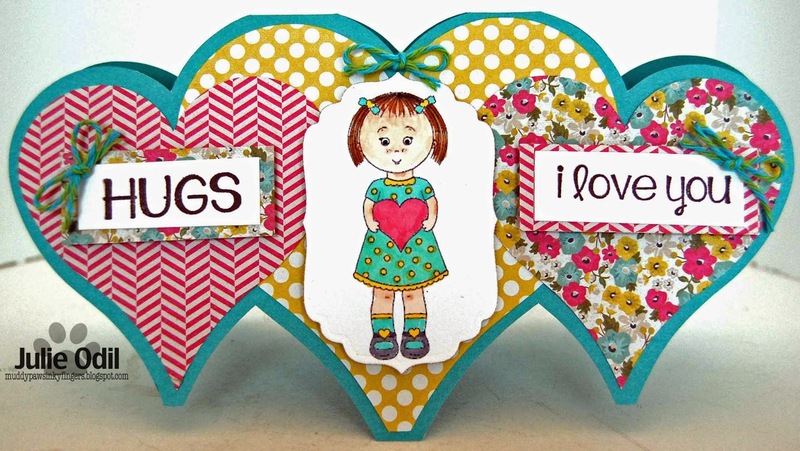 You'll love what she's created to share with you today! Isn't she sweet? I colored her with Copic markers. 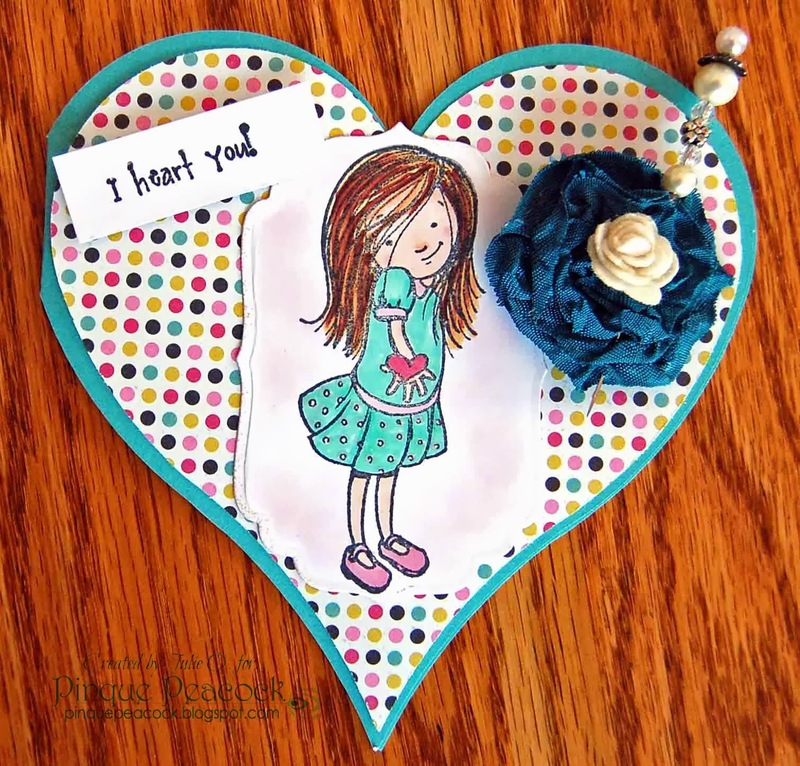 I thought she needed to be surrounded by hearts, so I used the Heart Shaped Card 2 cutting file from The Cutting Cafe. I had a great time making this card! Valentine's Day -- I love this holiday! As a Get Inky! alumni, I've been invited back to hop with the current team. New members are being introduced today while we former members are saying our farewells. What a great idea, and I think Thia for not only this chance to hop today, but also the chance to serve on her design team last term. 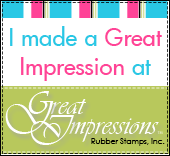 I adore any chance I have to play with stamps, and she has some fun ones! When I served on the Get Inky! Stamps design team, the stamp set I used the most was the Buzzing Bees set. So, it seemed only right to reach for it again for this hop. 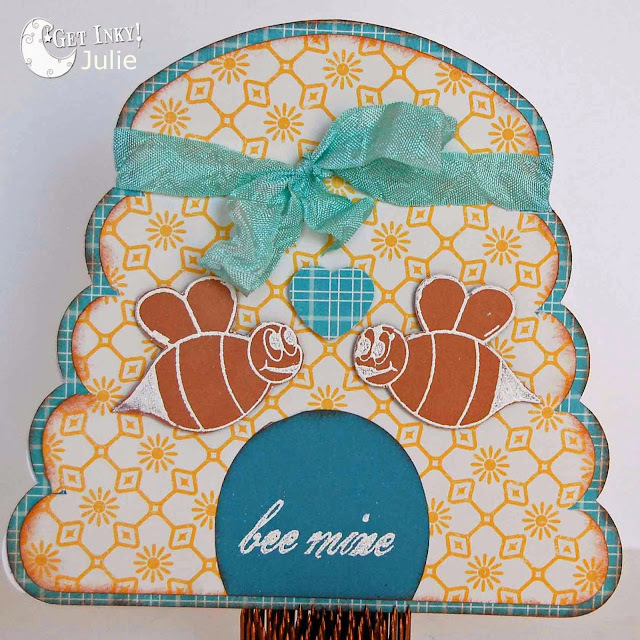 I used a cutting file from The Cutting Cafe for the beehive shaped card. I used paper from October Afternoon. The bees and the sentiment are both from the Get Inky! Buzzing Bees stamp set and are embossed in white. Close To My Heart Saddle ink was used on the edges of the 2 layers of beehive. 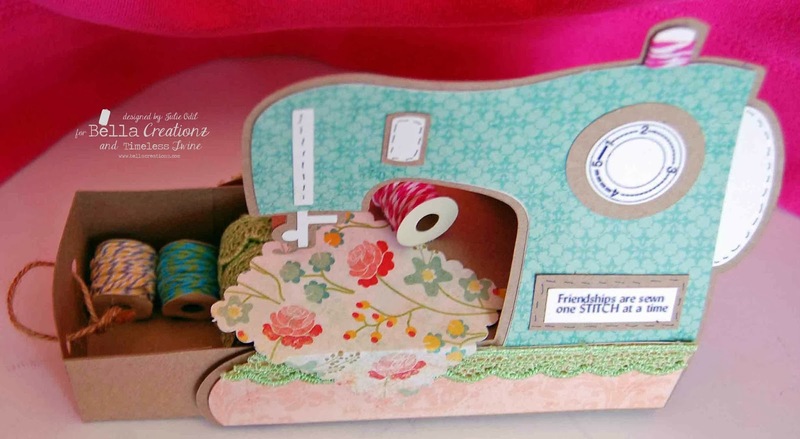 And some 3 Girl JAM crinkle ribbon in Aqua Splash from the Carribean Splash Bundle finishes off the card. Off you go to the uber-talented Kathy's blog. I know she's going to WOW you with her creation! Have fun on the hop, hop, hop! Oh yeah! It's Friday! And time for my favorite post of the week -- Unity Friends With Flair. This is "my post", a chance to use my favorite stamps, a chance to create what I want, with whatever theme I want. It's "me" time! Did any of you choose 'one little word' for a theme for 2014? I chose 2 words, and they come with a story (as many of my FWF posts do). Mid-December, I had terrible pain in my left shoulder. It lasted two days (and 2 sleepless nights), got better, but then the same thing happened to my right shoulder. I had injured the left shoulder this summer, so I thought I had re-injured it. I chalked the right shoulder up to over use. Three days later, my left hand swelled up and had the same terrible pain. At that point, I freaked out and saw a doctor. After many blood tests and a couple days of waiting (at which time, my right hand was attacked), she suspected rheumatoid arthritis (RA). This was something I didn't want to hear. I've worked in a nursing home for many years and have seen the results of RA. I DON'T want this! These are my two words for this year, and, I hope, for many years to come. 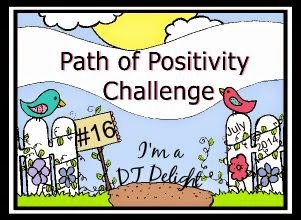 I can take on this chronic illness and make the most of it, looking for the joy in life, or I can let it defeat me. I've always been a fighter. And there are lots worse things in life I could have. Right now, it's the newness of the diagnoses, and not knowing what lies ahead that is hard. I've started on medication for the debilitating pain and inflammation, but it will take 2-6 months to take effect. In the meantime, I haven't slept through an entire night since Dec. 11. But, I will, and this will all get sorted out. I have confidence! Some days the pain is so bad it hurts to pick up a piece of paper. But I have confidence we will eventually find the right medicine! And fatigue? Uff da. I drag through my days! Although there may be many major changes ahead for me and my husband, hopefully many things will stay the same. 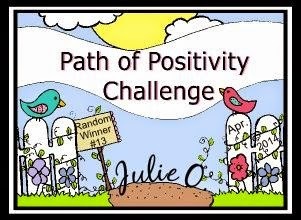 I used the current sketch from the Unity Be Inspired Challenge for this card. 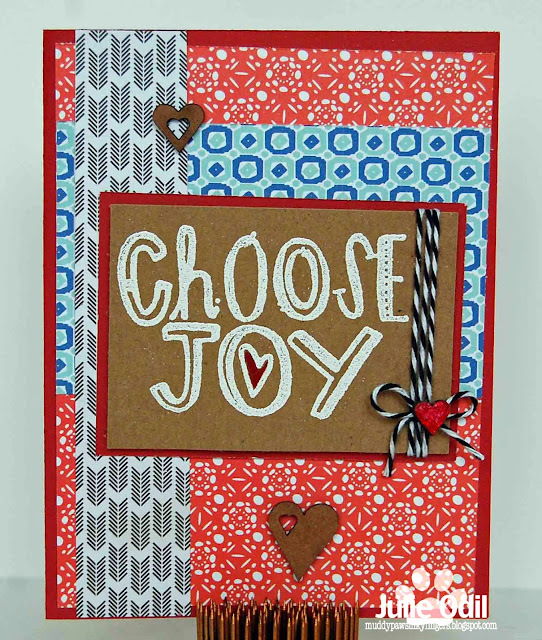 I heat embossed the "Choose Joy" sentiment stamp (Unity/Stephanie Ackerman) and colored in the heart with a Close To My Heart Tulip marker. There is my favorite chipboard on this card -- Umwow Studios Heart Confetti. Sometimes, I just have to leave it plain, 'cause it looks perfect just the way it is. On one of the hearts, I used some gesso, then 2 colors of Creative Inspirations Paint -- Garnet & a very small amount of Burgundy. 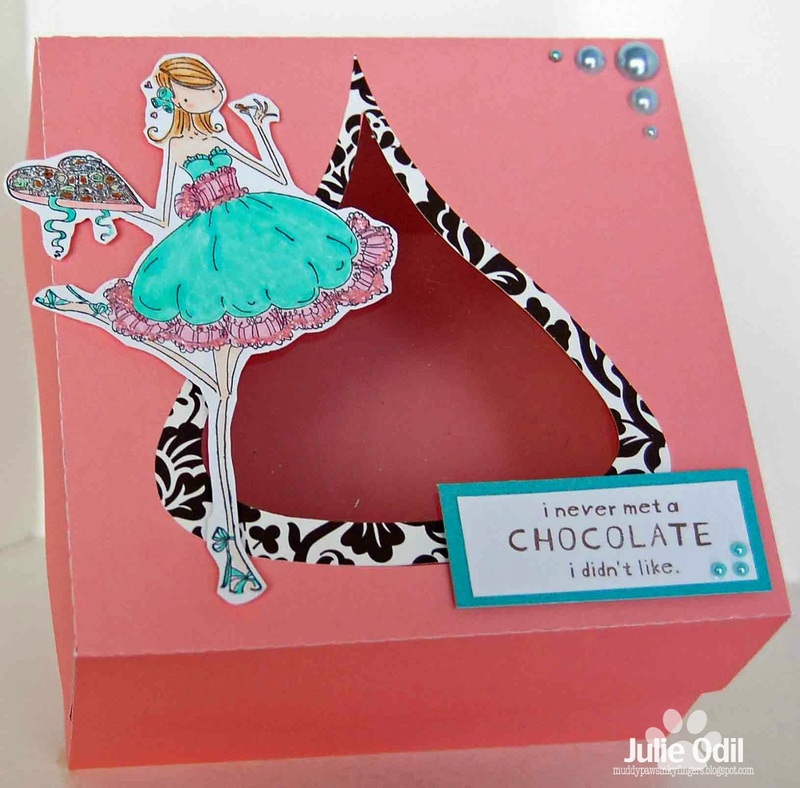 The cardstock base is CTMH Ruby, as is the Kraft CS. 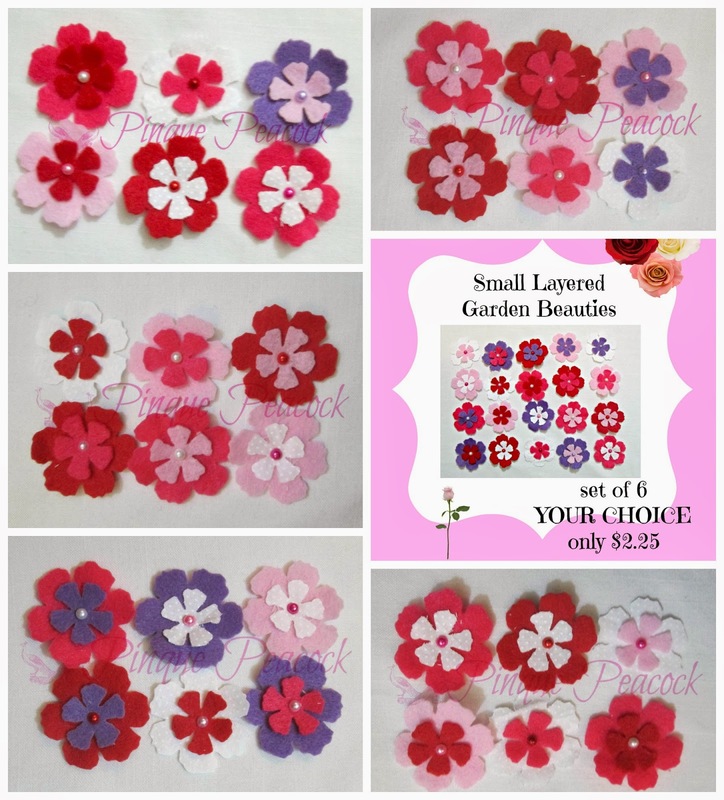 Designer paper is Carta Bella 6x6 Wildflower. And, the twine, is, of course, Timeless Twine in Tuxedo Black. So, 'Choose Joy' my friends! CHOOSE JOY! It's snowing, it's snowing! We've been saying that often in NW WI this winter, and it was true all day yesterday. We're still digging out from another major dumping of snow. The weather folks predicted 1-4 inches of snow, moving through quickly in the early morning. Well, it must have stalled because it was still snowing when I left work at 5:30 PM. And there were inches and inches more than what was predicted. Oh, to be a meteorologist -- always wrong, always employed. SNOW WORD SHAPED CARD TEMPLATE AND CUTTING FILE and the RAIN BOOTS SHAPED CARD TEMPLATE - CUTTING FILE SET on this card, both from The Cutting Cafe, of course. I used my Silhouette Cameo for the cutting files. 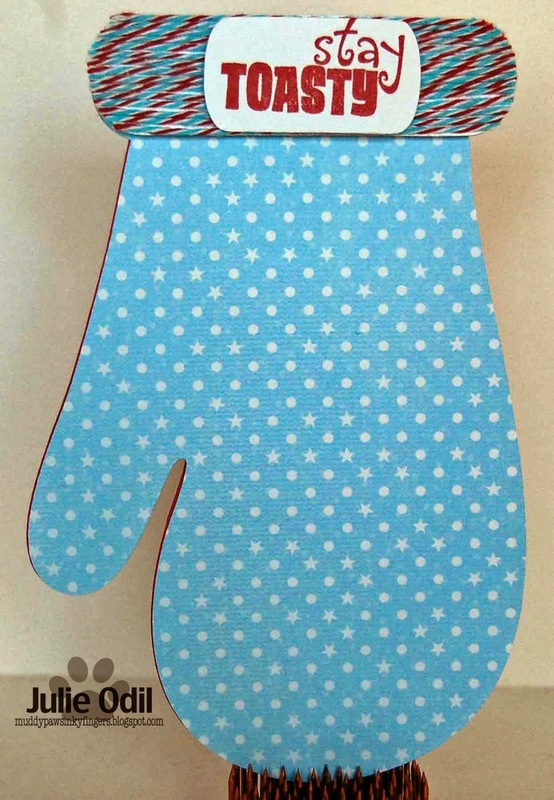 The card base is a standard A2 size (5 1/2 X 4 1/4). 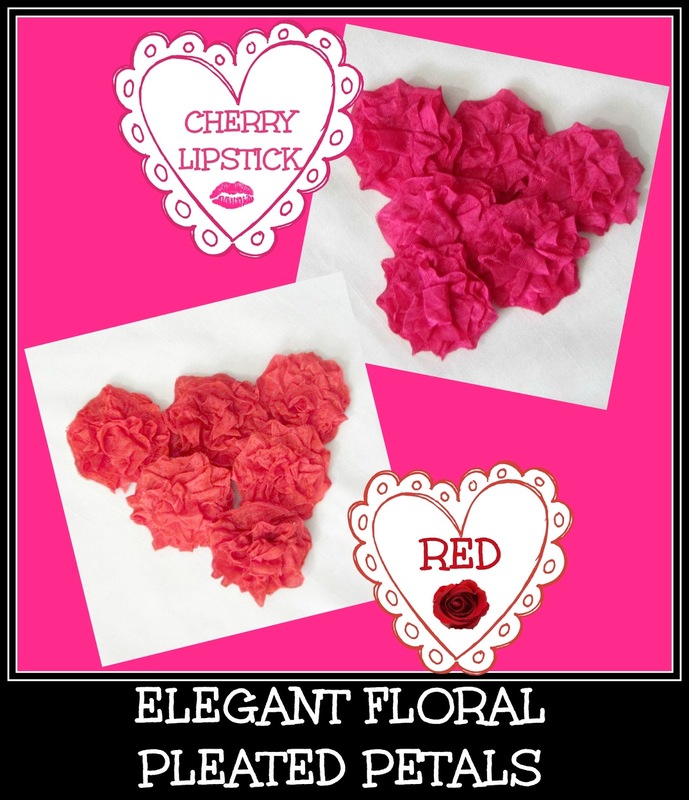 Ruby and Pacifica cardstock are from Close To My Heart. Designer paper is from Echo Park - Winter Park 6X6 pad. 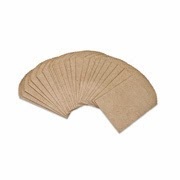 The bits of Kraft paper are Carta Bella. 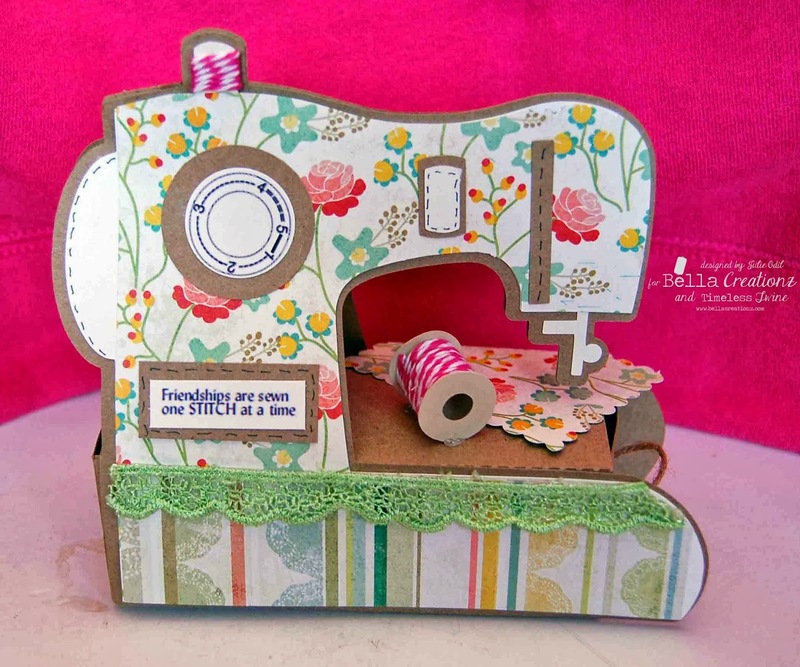 The glimmer paper is from American Crafts, and the two brads are Close To My Heart. That's it for me. I've got to put on my hat, mittens, and boots, and clear away the rest of yesterday's SNOW! 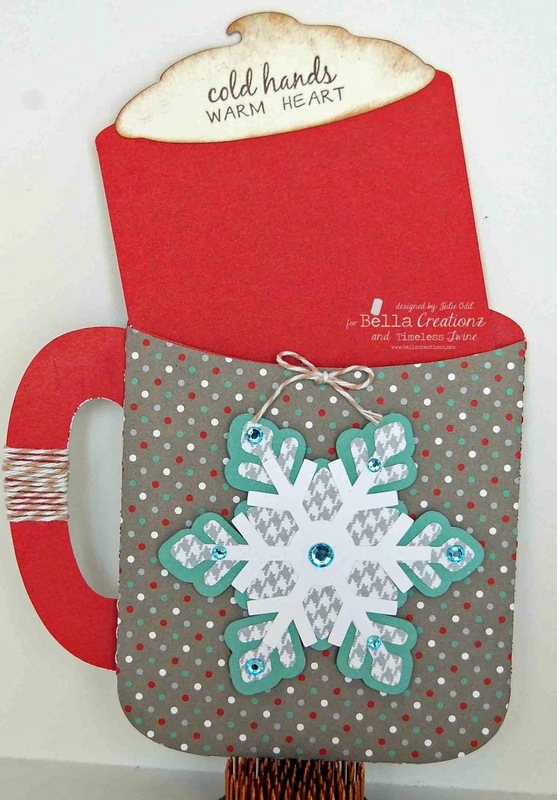 Good Monday morning, crafty friends! I'm so excited to be posting today for Timeless Twine! Yeah! I'm a Twine-ista! The theme this month is "something new". That "something new" can be a new technique, a new product from the store, or a new tool we use while making our project. Well, I'll point out quite a few "new" things while showing you my project for today. From this side, you can really see the Timeless Twine Baker's Twine in Raspberry Pink better. Would you like to see what's inside the box? 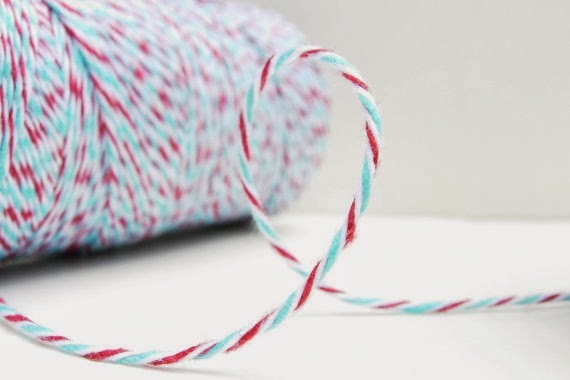 More new twine! 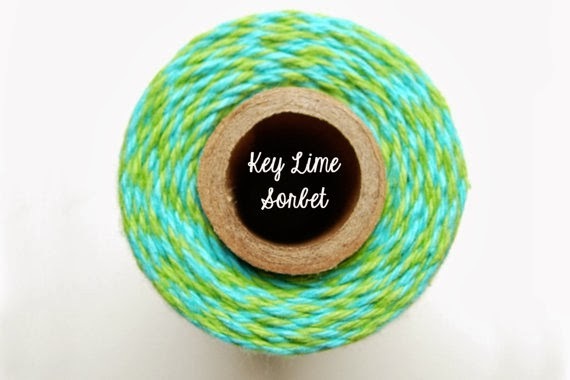 There's some Cape Cod Timeless Twine and some gorgeous new Key Lime Sorbet Timeless Twine. There's also a couple of spools of lace in the box from Webster's Pages. I made this box as a Christmas present for a friend who is a quilter and sewer. I thought she'd appreciate some spools of lace, along with the ever-fun Timeless Twine. I even made the spools that the twine and lace are on -- another new thing for me. 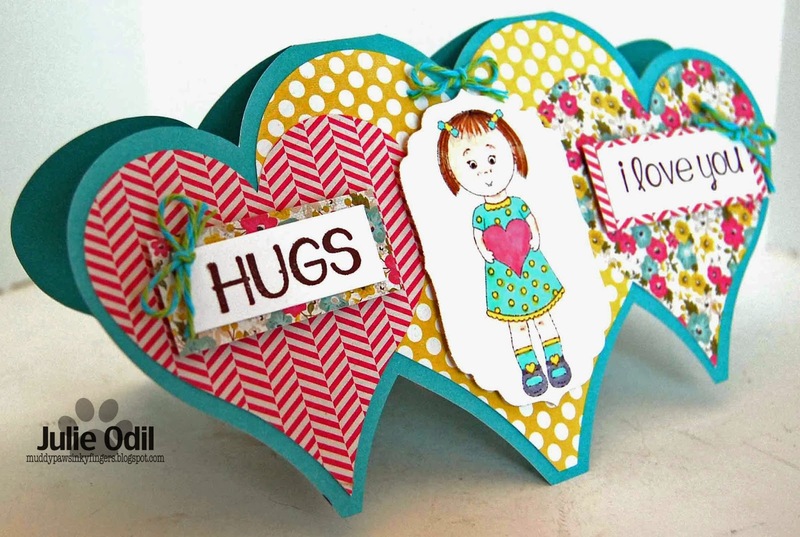 The papers used on this project are: Kraft paper -- Close To My Heart, designer paper -- My Mind's Eye, Miss Caroline, Howdy Doody 12X12 Papers. The lace on the box is from Webster's Pages. 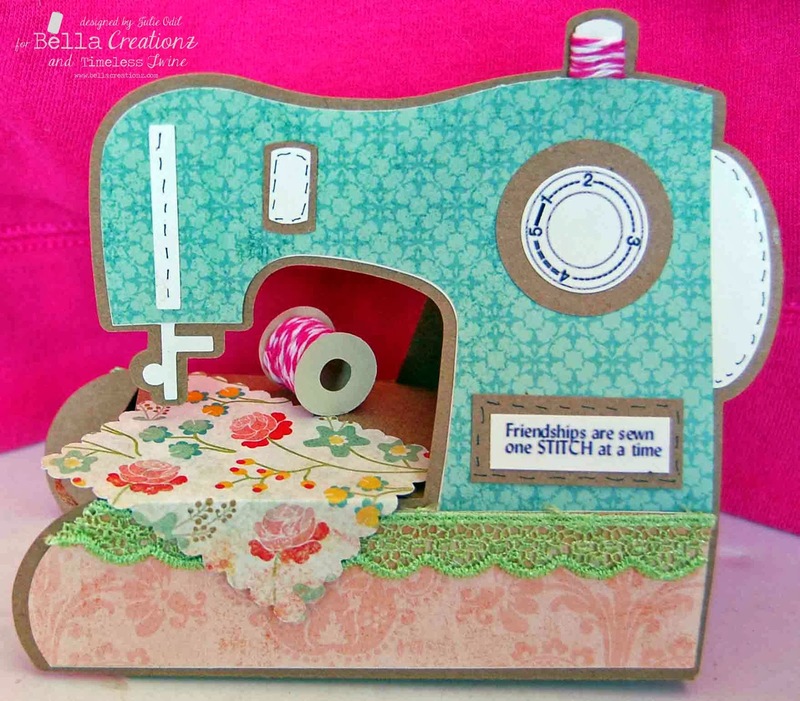 I had a great time making this sewing machine box for my good friend and showing it to you. And, I had a super time working with the wonderful, new Timeless Twine! I'm going to LOVE this next year! 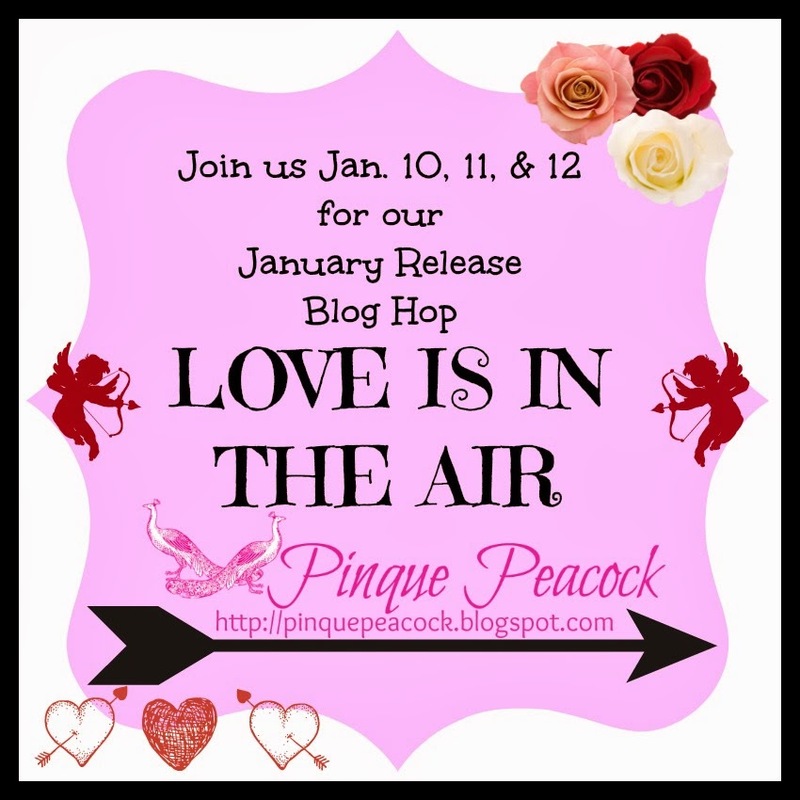 Love Is In the Air Blog Hop for Pinque Peacock -- and Friends With Flair! 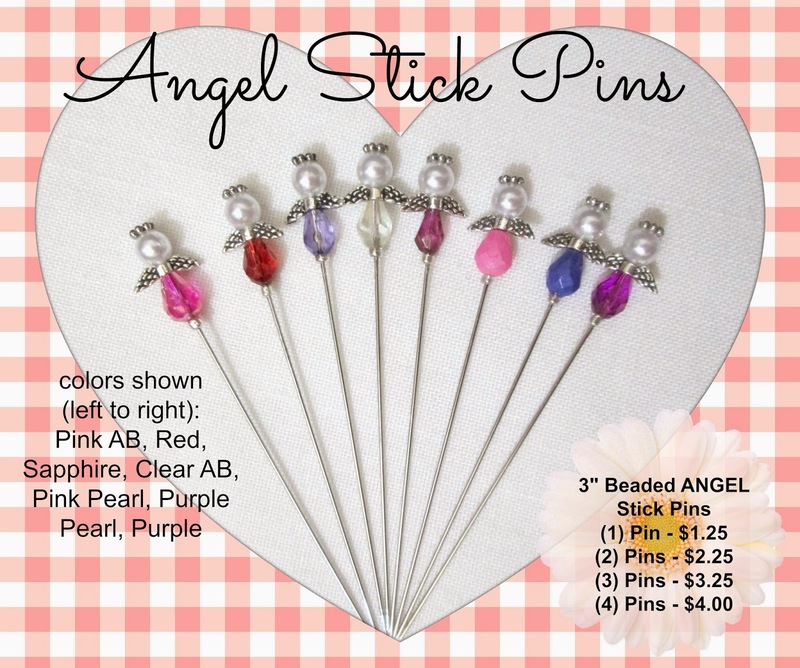 NEW Products from Pinque Peacock. I have several projects I created, just for this hop. And of course, they have a "love" theme. I "love" Unity stamps, and Phyllis Harris images in particular, so it was only natural for me to reach for my rather large stash of Phyllis Harris images when looking for a card to fit the theme for this hop. The Pinque Peacock Elegant Floral, made with 3 Girl JAM crinkle ribbon, the Pinque Peacock pearl stick pin and Unity/Phyllis Harris stamp, "I Will Give You my Heart" go together beautifully. I cut the heart shaped card out on my Silhouette, using a cutting file from The Cutting Cafe, found here. I colored the image with Copic markers. Papers are My Mind's Eye, Kate & Co. "Cambridge Court" 6x6. The sentiment is from Kraftin' Kimmie. 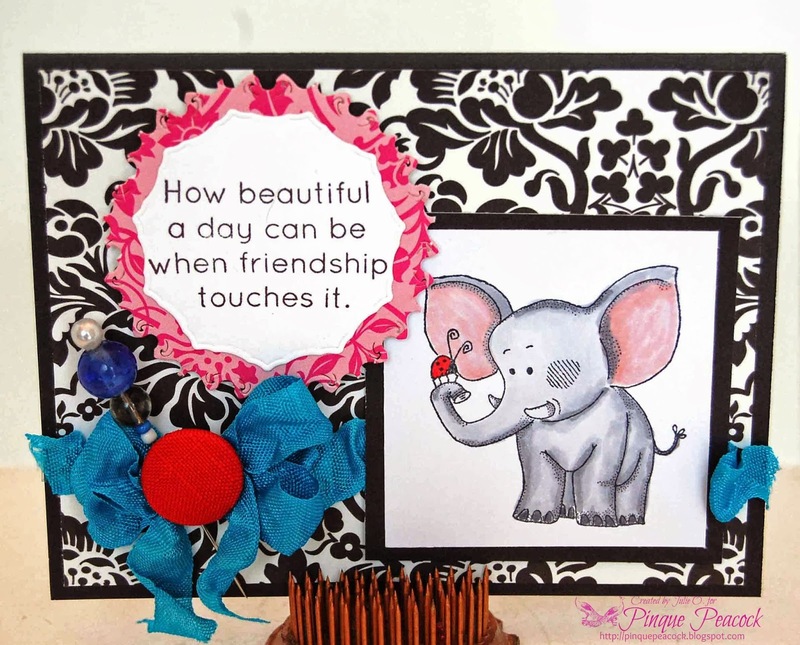 This card uses an image from Great Impressions Stamps, colored with Copic markers, and a retired stamp from Close To My Heart. What makes it really great, though, are the embellishments. 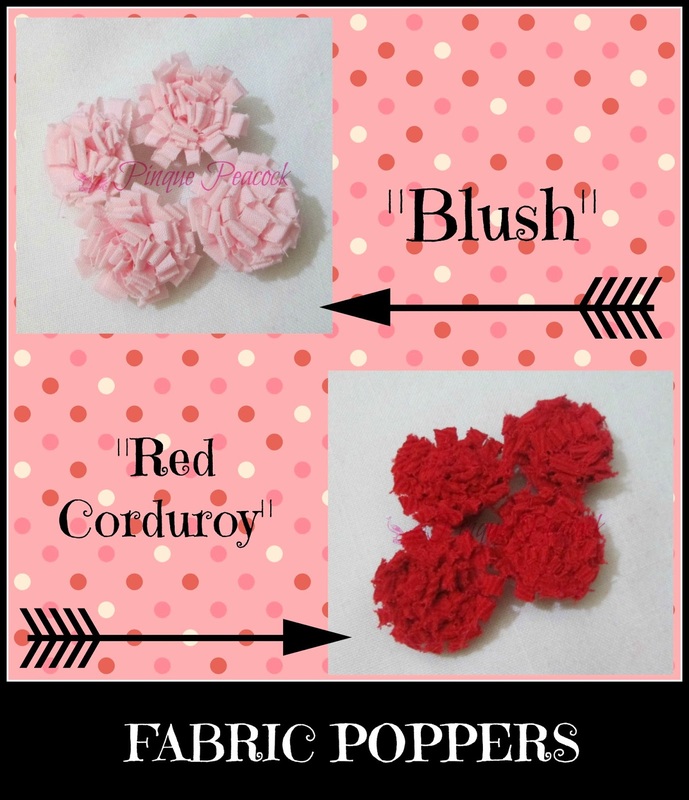 There's a red 3/4 inch fabric covered button from Pinque Peacock, and a Pinque Peacock beaded stick pin nestled in 3 Girl JAM ice blue ribbon from the Hot & Cold Bundle. 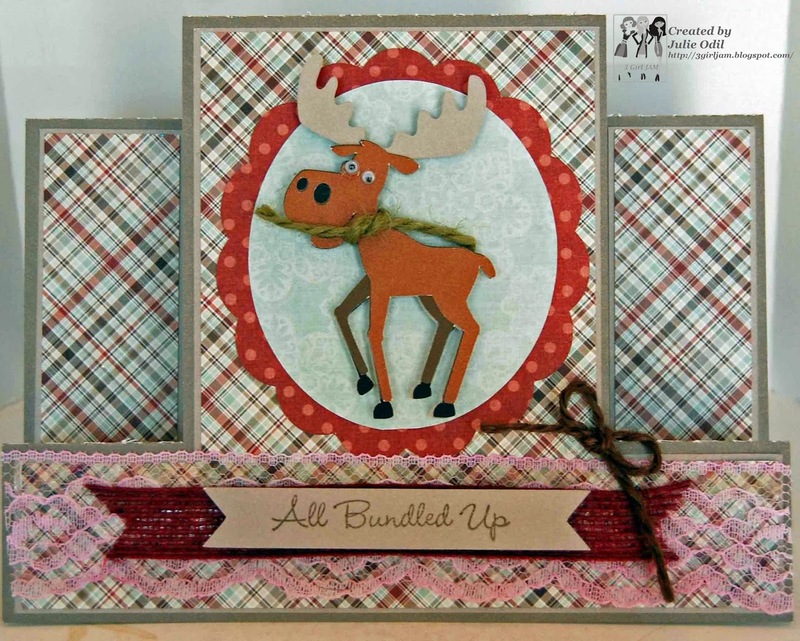 After you look at all the products in the month's new release, don't forget to hop on to the ever amazing Rebecca's blog to see what she has created for today's hop. Then, hop with us Saturday and Sunday for more great inspiration! 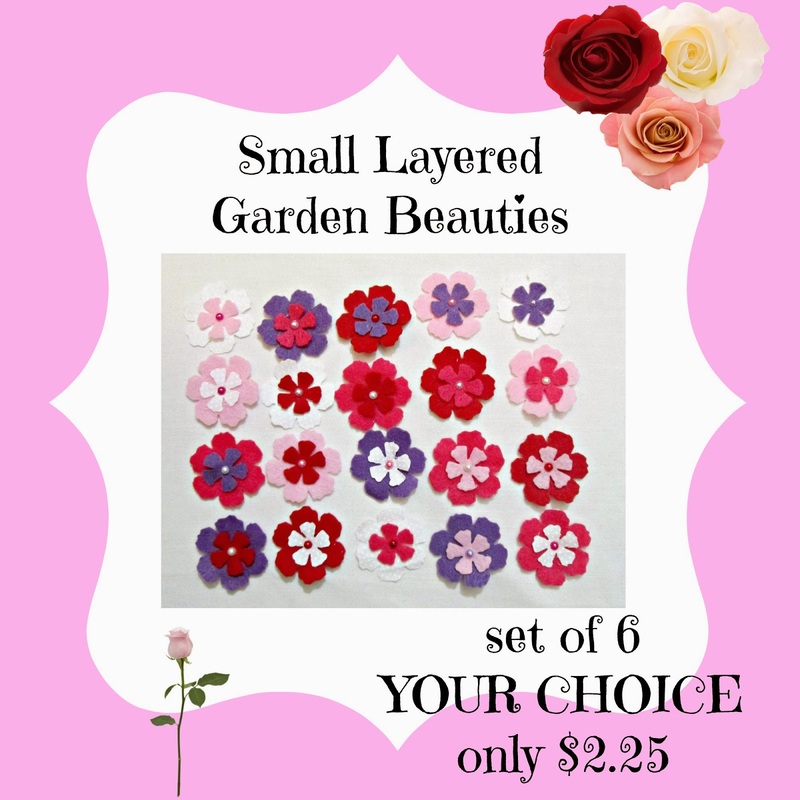 You can order them in ANY Color Combination YOU WANT! THE DARLING . . . . .
LIKE THESE . . . . The Hop will remain open until Wednesday, JANUARY 15th, at 8:00 a.m. EST. The random drawing will be held sometime during the week that follows and announced by Wednesday, JANUARY 22nd. New Year's Day - starting out Right!